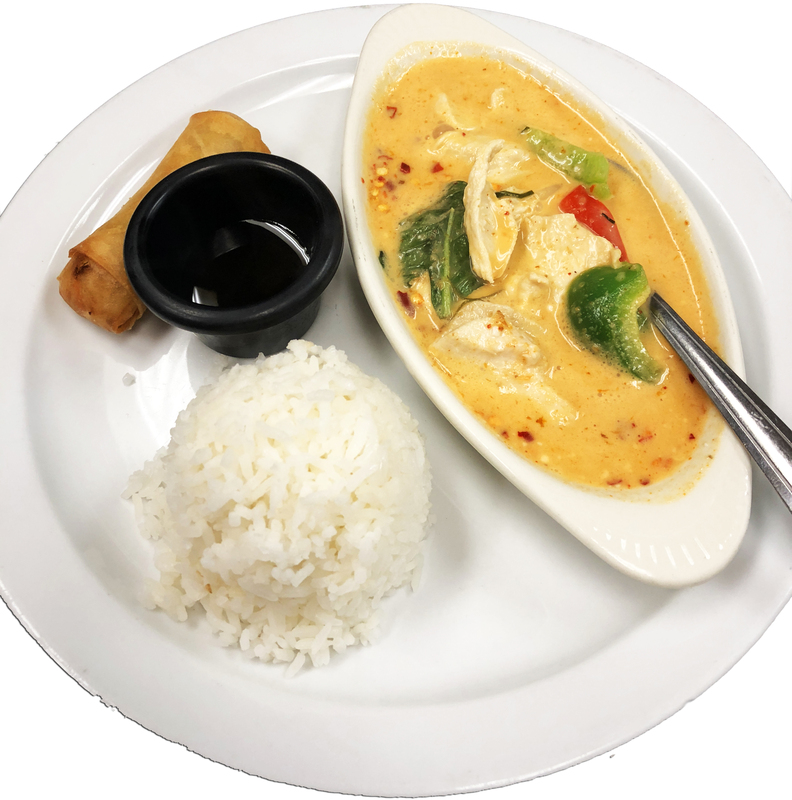 SERVED MONDAY THROUGH FRIDAY 11:00 A.M. TO 3:00 P.M.
(SHRIMP: ADD $1.00) (Served with : Egg roll, Your choice of meat, Rice and Coconut soup or Salad with ranch dressing.) Stir-fried onions, celery, carrots, baby corn, mushrooms, roasted cashew nuts and Thai chilli paste. (SHRIMP: ADD $1.00) (Served with : Egg roll, Your choice of meat, Rice and Coconut soup or Salad with ranch dressing.) Stir-fried fresh garlic, broccoli, carrots, onions, baby corn, bell peppers and black pepper. (SHRIMP: ADD $1.00) (Served with : Egg roll, Your choice of meat, Rice and Coconut soup or Salad with ranch dressing.) Stir-fried carrots, onions, bell peppers, sweet basil leaves and dried red chilli. (SHRIMP: ADD $1.00) (Served with : Egg roll, Your choice of meat, Rice and Coconut soup or Salad with ranch dressing.) 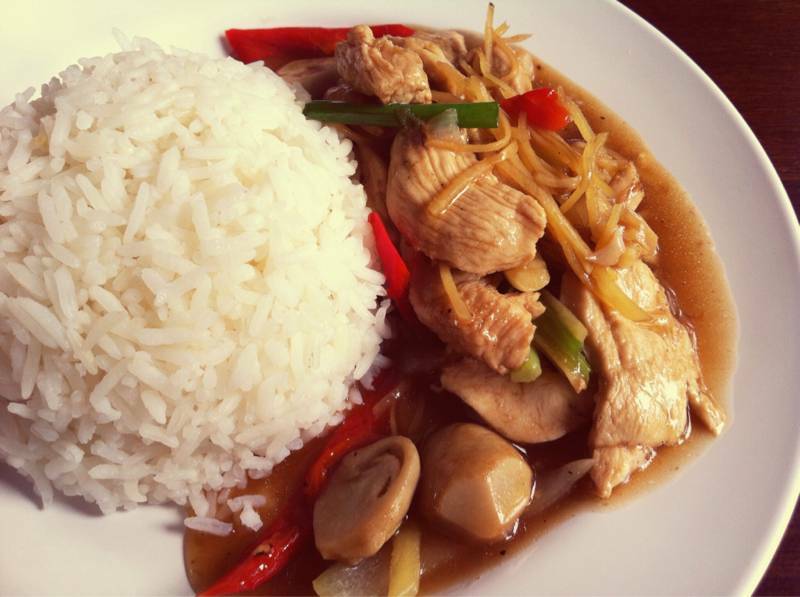 Fresh sliced ginger stir-fried with carrots, mushrooms, celery, onions and bell peppers. (SHRIMP: ADD $1.00) (Served with : Egg roll, Your choice of meat, Rice and Coconut soup or Salad with ranch dressing.) 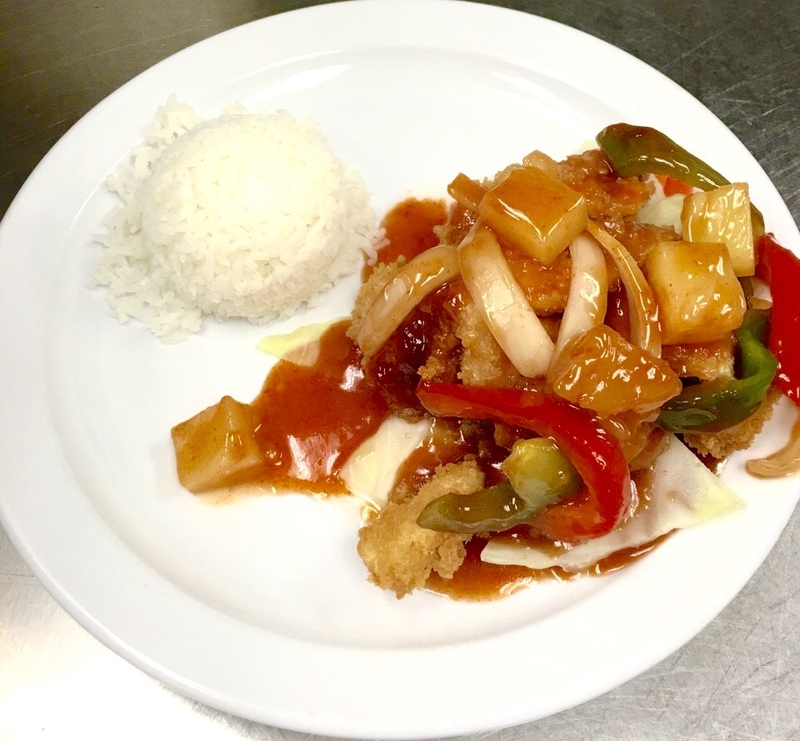 Tempura-battered meat with bell peppers, onions, carrots and pineapple chunks served with our special tomatoes-based sweet and sour sauce. 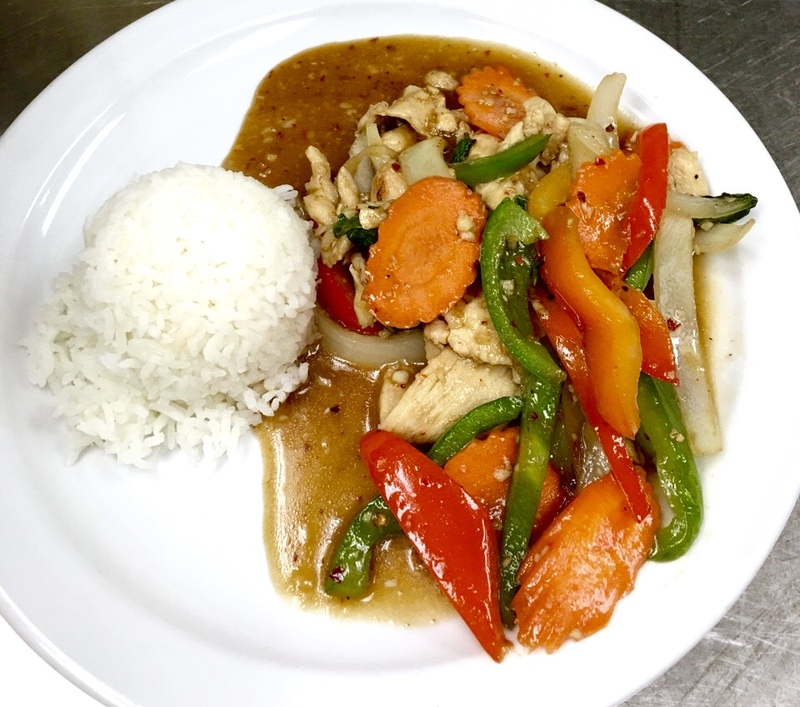 (SHRIMP: ADD $1.00) (Served with : Egg roll, Your choice of meat, Rice and Coconut soup or Salad with ranch dressing.) 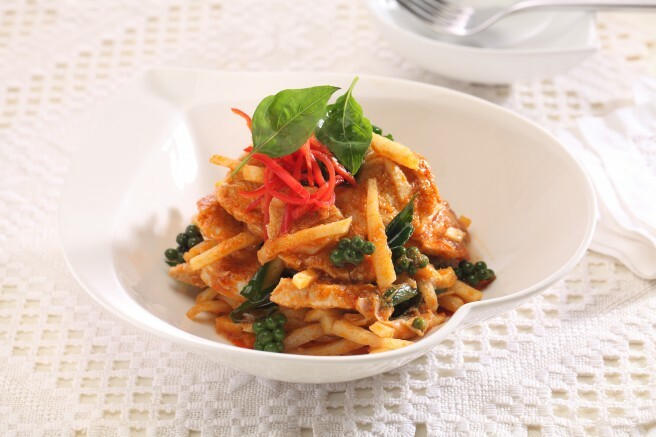 Sliced bamboo shoots stir-fried in red curry paste with onions, mushrooms, baby corn, carrots, bell peppers and basil leaves. (SHRIMP: ADD $1.00) (Served with : Egg roll, Your choice of meat, Rice and Coconut soup or Salad with ranch dressing.) 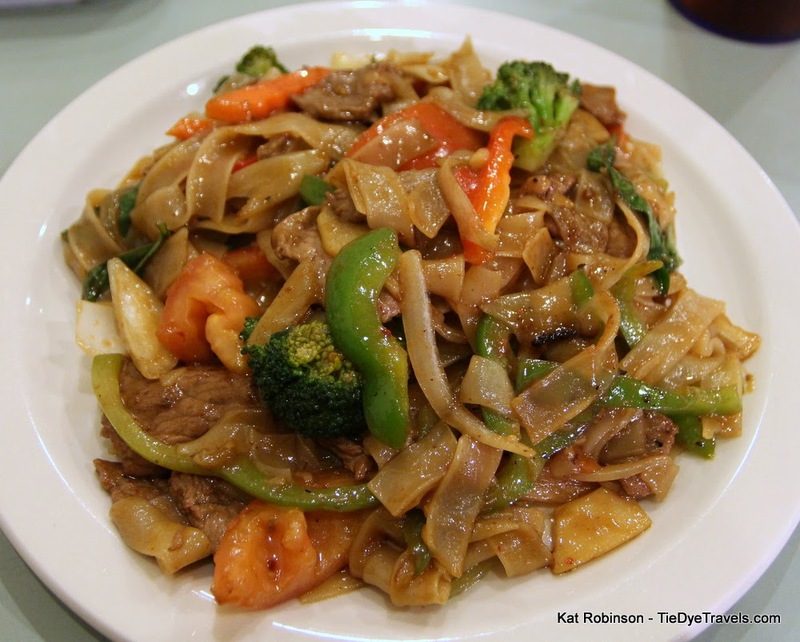 Stir-fried meat or mixed vegetables with bell peppers, carrots, cabbage, broccoli, baby corn, mushrooms, celery and snow peas. (SHRIMP: ADD $1.00) (Served with : Egg roll, Your choice of meat, Rice and Coconut soup or Salad with ranch dressing.) 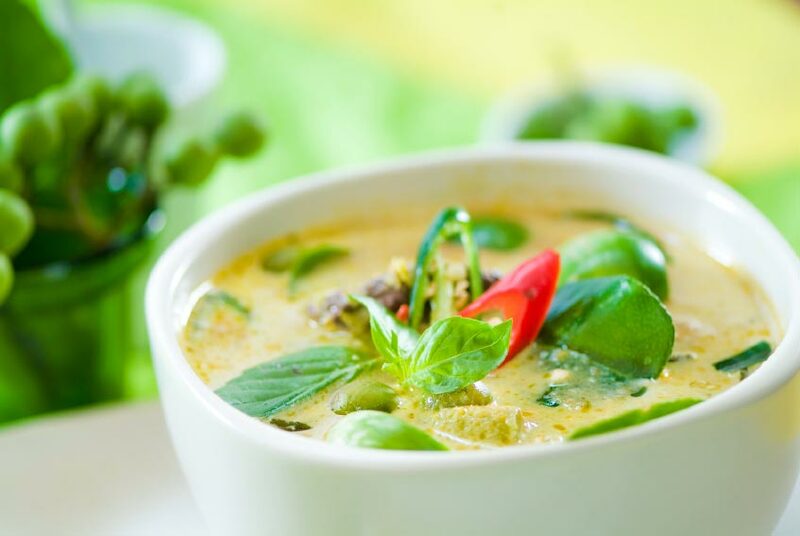 Sliced bamboo shoots, bell peppers and basil leaves prepared in coconut milk and green curry paste. (SHRIMP: ADD $1.00) (Served with : Egg roll, Your choice of meat, Rice and Coconut soup or Salad with ranch dressing.) 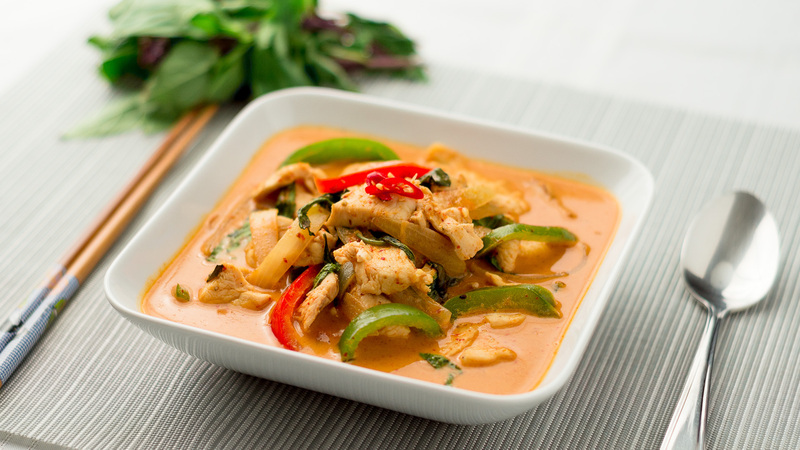 Sliced bamboo shoots, bell peppers and basil leaves prepared in coconut milk and red curry paste. (SHRIMP: ADD $1.00) (Served with : Egg roll, Your choice of meat, Rice and Coconut soup or Salad with ranch dressing.) Potatoes, onions and carrots prepared in coconut milk and yellow curry paste. (SHRIMP: ADD $1.00) (Served with : Egg roll, Your choice of meat, Rice and Coconut soup or Salad with ranch dressing.) 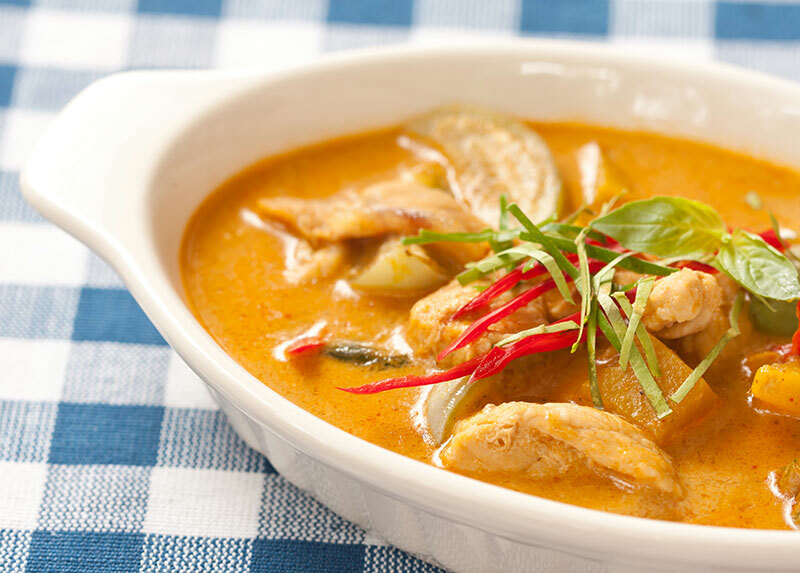 Bell peppers, kaffir lime leaves and peanut sauce prepared in coconut milk and panang curry paste. (SHRIMP: ADD $1.00) (Served with : Egg roll, Your choice of meat, Rice and Coconut soup or Salad with ranch dressing.) 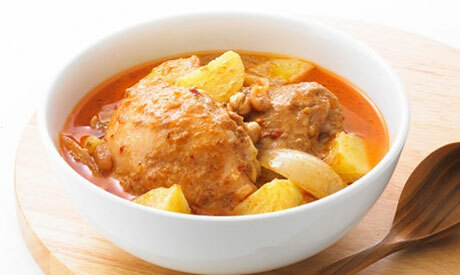 Potatoes, onions, carrots, pineapple chunks and roasted peanuts prepared in coconut milk and massaman curry paste. (SHRIMP: ADD $1.00) (Served with : Egg roll, Your choice of meat, Rice and Coconut soup or Salad with ranch dressing.) 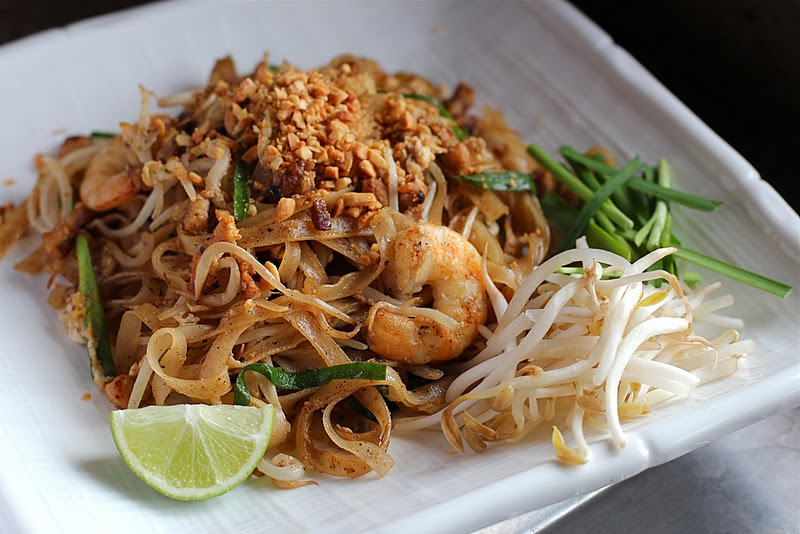 Medium rice noodles stir-fried in our house tamarind sauce with egg, bean sprouts and green onions topped with ground peanut. (SHRIMP: ADD $1.00) (Served with : Egg roll, Your choice of meat, Rice and Coconut soup or Salad with ranch dressing.) 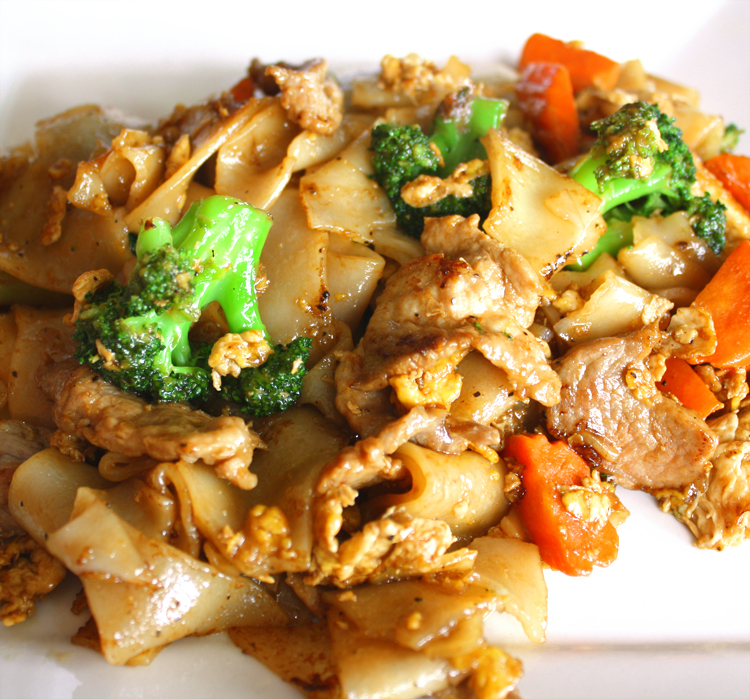 Fresh wide rice noodles stir-fried in our house sauce with egg, carrots and broccoli. (SHRIMP: ADD $1.00) (Served with : Egg roll, Your choice of meat, Rice and Coconut soup or Salad with ranch dressing.) Fresh wide rice noodles stir-fried in our house sauce with egg, bell peppers, carrots, onions, tomatoes and basil leaves.